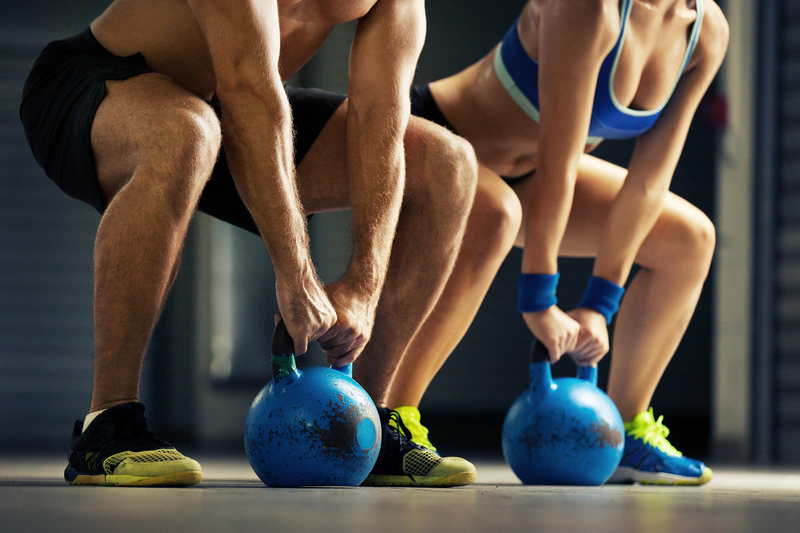 Russian athletes have been using kettlebells for over a hundred years. Unlike dumbbells, the weight of a kettlebell hangs a few inches directly beneath your hand, which makes them ideal for swinging moves that make your core work hard to key you stable. The metal handle is thicker than a dumbbell too, which helps you develop a stronger grip. While there are plenty of differences between kettlebells and dumbbells, many of the moves are similar. Most dumbbell exercises have a kettlebell equivalent, like front squats, for example. This workout consists of a circuit of five exercises you repeat once. Choose a weight you can use comfortably while maintaining good form for fifteen reps. You may be able to use the same weight for all five exercises, but do change weights if necessary. If you want more of a challenge, try adding another repetition of the entire circuit at the end.